I have been in a bit of a reading-rut. My particular job, and my field in general, requires a lot of reading to stay abreast of new developments in neuropsychology and how it affects my clients within a systemic, relational paradigm. My role puts me front-and-center with topics that most people, and many other clinicians I know, would consider NSFL. Not safe for life. At the end of the workday, sometimes the last thing I want to do is anything remotely cerebral. Instead, I resort to binge-watching television or playing games on my phone, because I need to clock out, zone out, anything that will enable me to ruminate the chunks of my day in a more palatable fashion than I received them. Don't get me wrong, I love my job, but like I said, it's NSFL. Anyone that knows me well knows I am a productive person. It's not to say television or games are unproductive, so much as the fact that I am a workaholic that is constantly in physical or mental motion. Somehow, television and mobile games do not factor into my mental model of productivity. Computer games, on the other hand, require conscious response, skill even. And so, those are often not included in the list of possible to-dos after a long day at work. In other words, this development is highly uncharacteristic. I'll gladly tell you I am a lifelong learner; a consumer of words and knowledge, even when it's just the way another person writes a book, with their own unique choice of syntax and diction that makes it purely something of themselves and no one else. An appendage, connected and yet still free for the taking by thousands of unknown strangers. 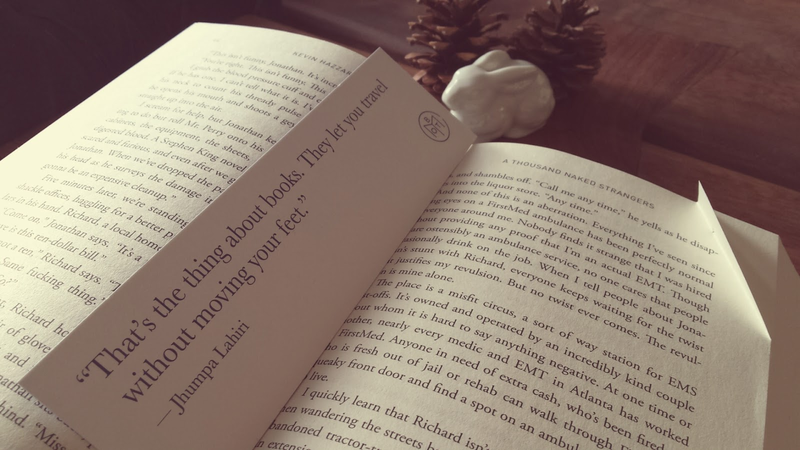 Losing interest in books does not have to be all doom and gloom. It does not necessarily signal anhedonia or even imply burnout. In fact, my personal hypothesis is that my taste has changed. Where I used to love fiction and fantasy all the way into my late adolescence, I now find myself drawn to nonfiction, particularly historical and investigative journalism. I want an explanation of how a generation of German women who felt lost and disconnected became complicit in the atrocities of the Holocaust, like Hitler's Furies; what it means to define forgiveness in the context of Apartheid in South Africa, as in A Human Being Died that Night; or Enrique's Journey, which provides a glimpse into the world of South American immigrants who risk their lives and bodies in an effort to live. If you are a avid reader, has this ever happened to you before? How did you react initially, when the same tried-and-true genres no longer possessed the same allure? Did this change remain permanent, or did you meander back to your original genre of choice? Some time ago, I signed up for a Book of the Month subscription. I decided, on a whim, to throw a little caution into the wind to see where it might land. The service provides a variety of books to choose from each month, each endorsed by some presumably well-known person. 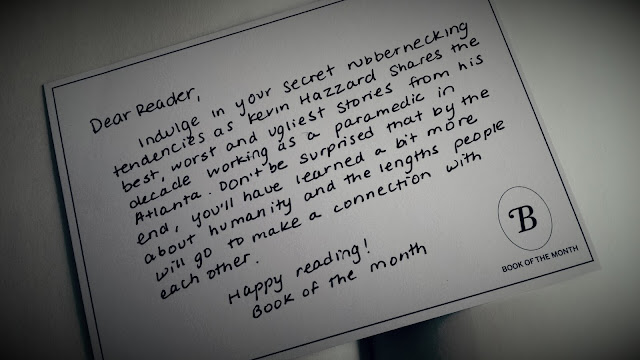 For the month of March, I selected Kevin Hazard's A Thousand Naked Strangers: A Paramedic's Wild Ride to the Edge and Back. Who can ignore a catchy title paired with such a poignant surname? Do you "dog-ear" or use a bookmark? My penchant is clear. It took a little longer than expected for the book to arrive. After reaching out to their customer service, I learned the book was waylaid in the shipment process. The customer service representative who tracked down my book was polite, and provided me with an exact date the book should arrive. True to his word, it was sitting in my mailbox on the prescribed day. "It's presently Easter Sunday, which leaves me just a few days to finish the book before the 'monthly' deadline. Honestly, I think part of the reason I started writing this entry is because the book is great. It's a very quick and easy read. The author is pragmatic and to-the-point, and he balances the realism and existentialism of his work nicely. There are even a few profanities thrown into the text, which I have come to appreciate in nonfiction. For me, it affects personality, urgency, and healthy dose of abandon." As of this update, I have finished the book in less than 24 hours. It has been a long time since I have done that. That doesn't even factor in sleeping for 7-8 hours. The last time I can remember reading a book that quickly was when I eagerly awaited each installment of Harry Potter. I would open each tome and not move until it was closed again. While I have more sense as an adult now to attend to the necessary, in my limited worldview, it's a response that speaks highly of the book. I want to update my little review above to also note that the book is unabashedly honest. I caught myself wondering at times if there is an EMT or paramedic out there (with different names, of course), reading a book by someone they used to work with, thinking, "Hey, that's me!" I wondered at times if certain chapters qualified as libelous, or if some ethics board somewhere is hunting down Mr. Hazzard as I write this to admonish him for past wrongs and mistakes. I also wondered at times how much was fiction, how much was not. Against my own rubric, it's a book that scores well when it triggers more questions than it answers. I want to know more. 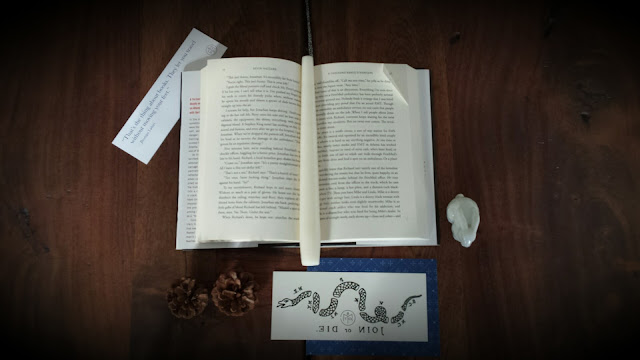 In addition to the hardback book I received, the package also included a bookmark, a temporary tattoo, and a little note card, which is both clever and summarizes the book nicely. 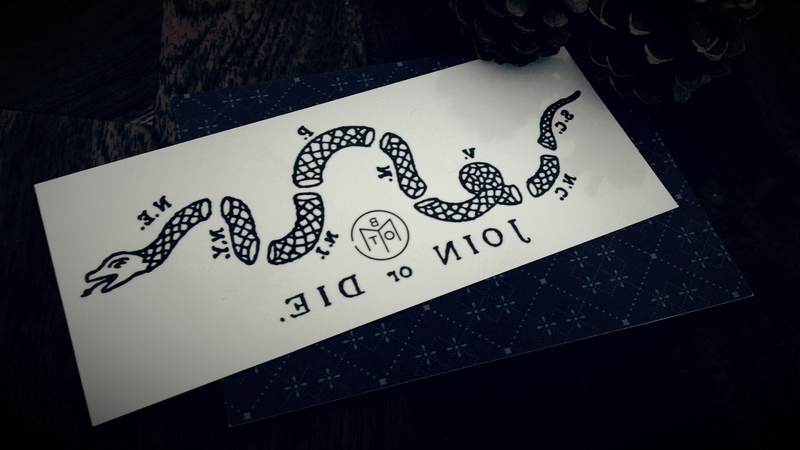 The back of the note has a beautiful diamond design, and I plan to salvage it for some project or another. The inside of the box that the contents arrived in features a similar design, and I sadly tore into it with such excitement that I ruined it. In all, I'm pleased to say that I find myself able to relax and become engrossed in a book again. Unfortunately, I am back where I started, and so soon! The upside is that it is nearly time to choose a new one (the selection process begins on the first day of each month). I am able to swing right back into my routine of landscaping, caring for eight animals, and trying to keep goat poop and shredded grass out of my house. My husband once joked that I should create a wheel of hobbies and spin it whenever I felt "bored." I have to say that bored isn't necessarily the right word for what happens when I feel antsy and energized yet aimless. Even though it is time to spin the metaphorical wheel again, I feel rejuvenated. All of my personal quirks aside, I have to say that I highly recommend this book to anyone interested in reading about paramedics and EMT (which I learned are not the same thing). It may not be for the squeamish, but it's certainly going to make you appreciate the bit that inevitably comes after. This review was not solicited and the author received no remuneration for this review.